We are a software development company specialized in business process management. Provide technological solutions and services to improve business efficiency. Lead the market, developing software and providing services that will control and improve your company´s efficiency. Coellar Burbano Sistemas Cía. Ltda. COBUS, was created in 2004, focused on custom development. Later, COBUS started its process management specialization by automating processes through customized softwares. In 2006 we started to develop our own BPM software with a business partner. In 2007 we made our first process management software implementation with COBUS BPM, at the time called TIMPU BPM. In 2008 with just one year of life in the market, Microsoft recognized our solution as a “success story” on its website. From that year on, COBUS BPM has been installed mainly in government agencies focusing not only in processes automation but also in process design and efficiency improvement. As a result of a meticulous process control, through the analysis of key performance indicators generated by our solution, COBUS BPM improves business´ efficiency from 20% to 60%; however, by redesigning processes we have improved up to a 95%. 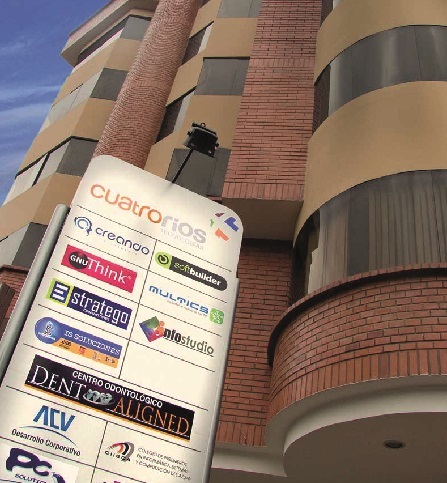 COBUS is part of Azuay´s Cuatro Ríos Technology Cluster, a group of companies working in the same physical place, consolidating and strengthening their products and services. As a technology cluster we provide integrated applications rather than separate products and guarantee quality through the compliance of the Quality Manual as our firm requires.